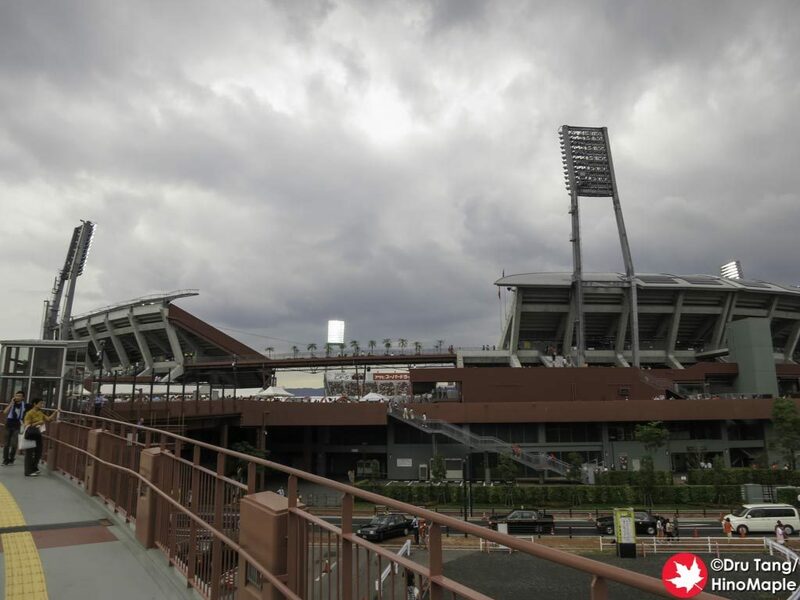 Mazda Zoom-Zoom Stadium Hiroshima only has one main tenant, Hiroshima Toyo Carp. The Hiroshima Toyo Carp is a Nippon Professional Baseball Team playing in the Central League. The easiest way to access the Mazda Zoom-Zoom Stadium Hiroshima is to go to Hiroshima Station. Head out the south exit and follow the tracks to the stadium. Alternatively, if you are taking the JR Sanyo Main Line or JR Kure Line, you can alight at Tenjingawa Station. After you alight, head to the south side of the tracks and then west along the tracks to the stadium. If you are taking the Hiroden streetcar Line 5, you can alight at Danbara 1-chome. For Lines 1, 2, and 6 you can alight at Matoba-cho. Head north across the river from either stop, then continue north and at the train tracks turn right to get to the stadium. 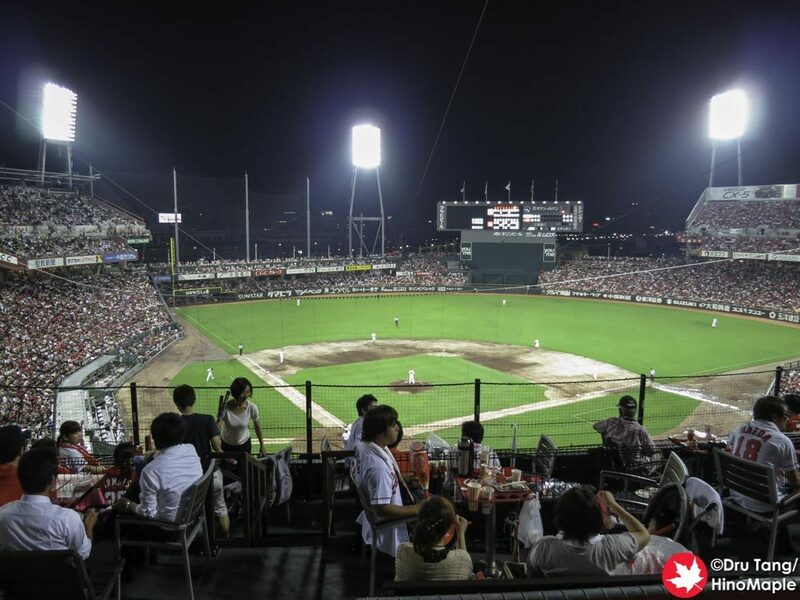 Most seats for Hiroshima Toyo Carp games tend to sell out very quickly. Fan club members can often purchase tickets in advance of the general public. EBARA’s Surprising Rich Taste Terrace (エバラ黄金の味 びっくりテラス) – Special deck for groups up to 100, 50, or 40 people. EBARA’s Surprising Rich Taste Grill (エバラ黄金の味 パーティーグリル) – Special barbecue deck for groups up to 20 people. A Bit Surprising Terrace (ちょっと びっくりテラス) – Special barbecue deck for groups up to 30 or 25 people. Object Deck (オブジェデッキ) – Special deck with interesting objects and a barbecue for groups up to 37 people. Outdoor Deck (アウトドアデッキ) – Two special decks for groups up to 40 or 30 people. Note: Mazda Zoom-Zoom Stadium Hiroshima has lots of special seating for people in wheelchairs but it is not listed here. 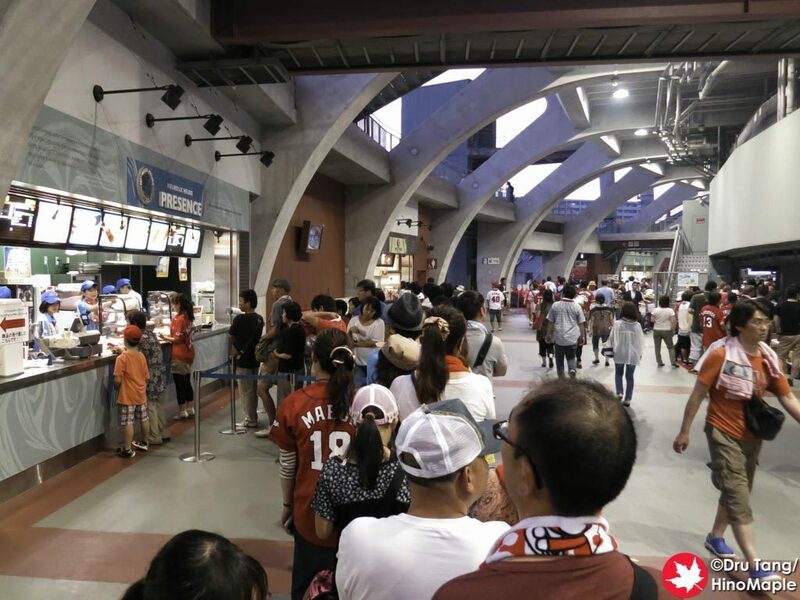 Hiroshima Toyo Carp does not offer English services for purchasing tickets. Tickets can be purchased at the box office from 11 a.m. to 4 p.m.
Buying tickets on the day of the game, or at the stadium, is a big risk. Most games are typically sold out or nearly sold out, especially for home seats. Visitor seats are not always sold out but assume that they will be difficult to purchase. There are several merchandise shops in and around the stadium on game day. There are also a few merchandisers selling a small variety of goods on the main stretch between JR Hiroshima Station and the Mazda Zoom-Zoom Stadium Hiroshima. This entry was posted in Stadiums and tagged baseball, Hiroshima, Hiroshima Carp, Hiroshima Toyo Carp, japan, Mazda Stadium, Mazda Zoom-Zoom Stadium Hiroshima, Nippon Professional Baseball by Dru. Bookmark the permalink.